A testimonial tells you that someone you can identify with has bought a product and loved it. That must mean the product is just the right thing for you as well. However, ratings and reviews are not just valuable for your customers alone: Google uses them in various ways too, as I’ll explain in this post. Moreover, I’ll show how you can help Google show ratings and reviews in the search results, with the right Schema.org markup. Product ratings are a bit of a different breed, although they work pretty much the same. Have people rate a product on your website, and add an Aggregate rating on a nice spot on your product page. Next to Google picking up on that rating and showing it in, for instance, the Google Shopping result, it increases trust in a product. Most of the times the ratings we discussed earlier are just half of a package deal. Ratings are great, and great ratings even greater. But if that rating is accompanied by a detailed review as well, people will be able to relate to the experience another customer had even more. Regardless if that’s for a product or an entire website. 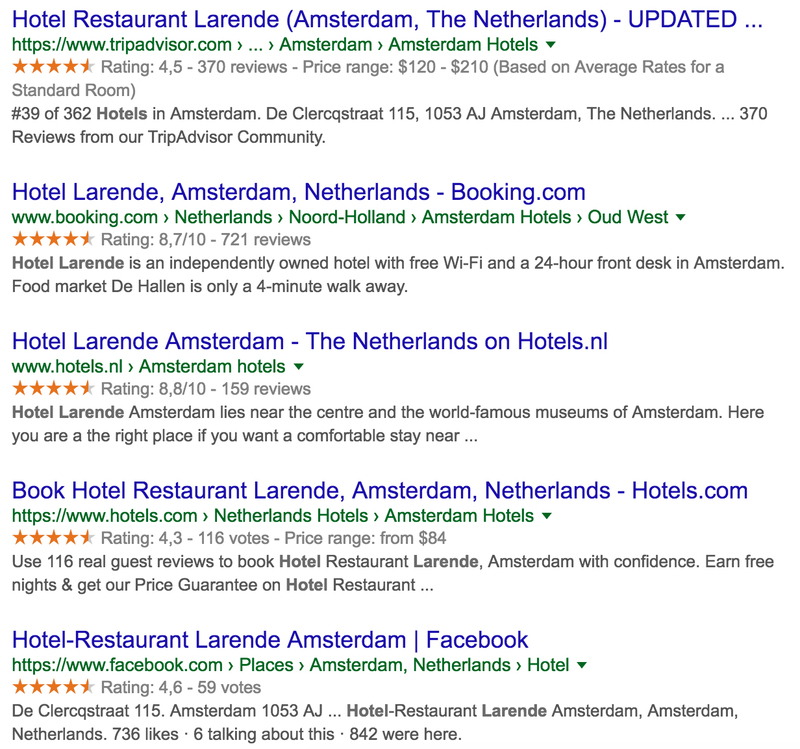 These reviews influence the decision-making process of your visitor. If they come to your website and see only negative reviews, written by real people that speak from experience, they will think twice. If these reviews are all raving about the product, people will just need a split second to click the buy button. It’s up to you which source you trust more. But we think you can’t go wrong with this hotel, right? Keep an eye on our site, because we will be diving deeper into Schema.org for products, ratings and reviews, and what it all means for local businesses.